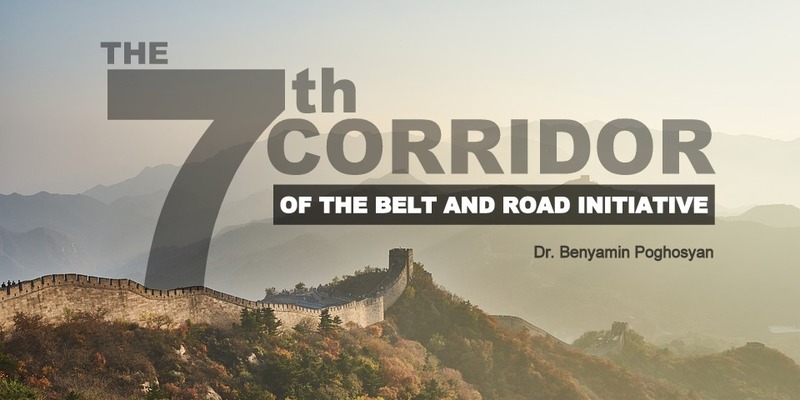 Since the launch of Chinese “One belt, One Road (OBOR)” initiative in September 2013 later renamed as "Belt and Road initiative (BRI)" the bulk of academic research has been devoted to the evaluation of the suggested land and maritime routes of this gigantic project. In recent years the main focus of the Western and especially American expert community was the link between BRI and Chinese foreign policy strategy with more emphasize of possible negative ramifications of the project for the states involved. The terms such as “Debt diplomacy” or “Debt trap” were disseminating more and more in both academic and political circles. Meanwhile, the Chinese and into some extent Russian experts were seeking to delegitimize the Western claims and to accentuate the mainly positive results of the BRI. In this battle of arguments, rejections, and accusations the countries not initially included in BRI were under attack of uncertainty and ambiguity – what BRI is really about and is it worth to make efforts to be included there. Simultaneously, the rapid transformation of global and regional orders put additional pressure on small states – to make necessary choices to secure their survival and development. The apparent end of “Uni-polar moment” – the short period of US global hegemony or as Brzezinski formulated it “the American Primacy” - immediately after the end of the Cold War – has brought about tectonic shifts in almost all regions of the globe but is most palpable in Eurasian continent. The rise of others – among the most notable of China and India, more assertive foreign policy pursued by Russia combined with its impressive increase of warfare capabilities and the internal strife and uncertainty within EU amplified by the tantalizing process of Brexit, has created a unique geopolitical conundrum in Eurasia, and in more particular in the Post – Soviet world. The Western/American supported vertical globalization is stalled - the clearest manifestation of this was the President Trump speech at UN General Assembly in autumn 2018. The leader of the globalized world publicly rejected the globalization – a step simply unbelievable just three years ago. The apparent US abdication of its role of the leader of “liberal international order” as well as EU domestic problems creates no doubt that democracy promotion and a windfall of economic assistance for former Soviet republics are in the past and have few chances to be revitalized in short-mid term perspective. This is particularly worrisome for such former Soviet republics such as Ukraine, Georgia, Moldova and since April 2018 Velvet revolution – Armenia. They all need tangible foreign assistance and foreign direct investments to launch the much-delayed state modernization process and raise the living standards of the average citizens. The obvious sources of such assistance were either US or EU within their democracy/liberal international order promotion agenda. But this is not the case anymore. The current US administration mainly perceives the post – Soviet space as a battlefield in its Russia containment strategy, but this does not mean the readiness to bring about assistance or FDI. The EU is neither capable nor willing to put billions of Euros in former Soviet space “Blackhole” which effectively kicks Europe out of strategic competition in Post-Soviet space. Meanwhile, it should be noted that while Ukraine and Georgia are in the midst of the US – Russia geostrategic competition – with hostile relations with Russia and no chances of integration into Euro-Atlantic community, Armenia is in a far better situation – being included in the Russian sphere of influence she has managed to develop partner relations with the US, EU and NATO – and after the Velvet revolution claims to be the island of democracy in the Post-Soviet world. However, even being an island does not guarantee the inflow of Western capital into Armenia – meanwhile, the level of foreign direct investments is critical for the modernization of Armenian state and the success of the revolution. Another geostrategic trend currently is underway in Eurasia. Instead of American led “Vertical globalization” the seeds of "Horizontal globalization" are coming into fruition. The “Greater Eurasian partnership”, an initiative put forward by the Russian President Putin in 2016 is a key pillar of this new development. The idea is to bring together in a loose partnership China, India, Russia, Japan, ASEAN states and the EU. The very first steps towards that direction have been implemented already. The Russian led Eurasian Economic Union (EAEU) has signed a milestone agreement with China on trade and economic cooperation creating necessary conditions for the EAEU – BRI partnership. EAEU has signed a temporary free trade agreement with Iran. The Russia – India – China (RIC) format has been developed creating an interesting platform for trilateral discussions and the Shanghai Cooperation Organization is amidst the transformation towards full-fledged regional power hub after membership of India and Pakistan in 2017. However, due to the Ukraine crisis and some other thorny issues including Syria and Skripal case the EU currently has no involvement in this emerging Eurasian Partnership. Obviously, anything can be changed before some sort of EU – Russia accommodation which itself depends on various factors and there are few if any hopes that some significant changes would happen in short term perspective. Meanwhile, the EU itself is in desperate quest of its new role in “Post American World” with various ideas starting from “tactical independence to the strategic autonomy” are being discussed. The developments concerning Iran nuclear deal fate after US withdrawal have confirmed that the EU is not ready to blindly follow the US in Eurasian geopolitics. The launch of "special purpose vehicle – Instrument in Support of Trade Exchanges (INSTEX)" to facilitate the trade with Iran circumventing the US secondary sanctions and the mild rejections of America’s demands to withdraw from the Iran deal blatantly put forward by the US Vice President Pence in his Munich Security Conference speech are serious signs that EU is not ready to be an “American springboard” for the further US power projection in Eurasia. Thus, albeit worsening relations with Russia, EU may consider a policy to develop a partnership with other big players in Eurasia including China and is ready to keep working level relations with Iran. In this nonlinear and multi-layered geostrategic transformations Armenia, albeit being a tiny landlocked state with two closed borders, has an opportunity to be a vital block within the emerging Eurasian partnership. As was mentioned Armenia is an EAEU and Collective Security Treaty Organization (CSTO) member state and managed to sign a Comprehensive and Enhanced Partnership Agreement with EU in November 2017 having access to the GSP+ system. Armenia has friendly relations with Georgia and Iran and a free trade regime with both of them. Simultaneously, Armenia is seeking to foster relations with China but there is a clear lack of strategic vision here besides opening of Chinese language schools and centers and donation by China of public transport and ambulance vehicles. Given the evolving idea of Greater Eurasian Partnership, the EU efforts to save Iran nuclear deal, EAEU – Iran FTA, EAEU – China and China - Iran cooperation and Armenia’s friendly relations with both EU, China, Iran, Georgia and alliance with Russia, the Yerevan has an opportunity to strategically increase its role as one of the pillars of Emerging Eurasian partnership. In 2016 Armenia together with Iran, Georgia, Bulgaria, and Greece have launched negotiations to establish a “Persian Gulf – Black Sea” multimodal transportation corridor to have an additional route connecting Iran with Europe. The project envisages the transportation of goods from Iranian Persian Gulf ports by railways and highways to the Iran–Armenia border, then by highway across Armenia to the Georgian Black Sea ports and then by sea to the Ports of Bulgaria and Greece and further into Europe. Given the existing railroads and highways in Iran as well as functioning Georgian ports the key missing link in this project is the new highway through Armenia which should connect Armenia – Georgia, and Armenia – Iran borders. The construction of “North-South” highway has been launched in late 2012 and till the end of 2019/mid 2020, the Yerevan – Georgia border section will be operational. Currently, Armenia is the inactive quest of investments for the construction of the Artashat (a town located some 20 kilometers south of Yerevan) – Iran border section. In January 2019 the EU has decided to provide 450 million Euros for this project within Trans–European Transport Network (TEN-T). Thus, the EU is already involved in the funding of the “Persian Gulf – Black Sea” transport corridor. Meanwhile, the China – Iran (Persian Gulf) sea route is operational and is a major transport artery for Iranian oil exports into China and imports of Chinese goods to Iran. Given the evolving Eurasian Partnership Initiative, EU and China interest in keeping the Iran nuclear deal alive and fostering economic relations with Tehran, EAEU – China and EAEU – Iran agreements and Armenia – EU, Armenia – Iran and Armenia Georgia partner relations, it’s a right time for Armenia to make a strategic decision and put forward the initiative to launch multilateral (China – Iran – Armenia - Georgia) negotiations to connect China – Iran sea route with “Persian Gulf – Black Sea” transport corridor and establish the Seventh Economic Corridor (China – Iran – Armenia – Georgia - Europe) within the BRI. This geostrategic project has the potential to bring together China, Iran, Eurasian Economic Union and European Union playing a key role in shaping the Greater Eurasian Partnership. In this context, Armenia has the potential to be an “indispensable nation” connecting various axis of the vast Eurasian continent. The seventh economic corridor will foster Iran’s involvement in the BRI; create additional momentum for China, Russia, and EU in their efforts to save Iran nuclear deal, and be a harbinger for the tangible results of EAEU – China and EAEU – Iran agreements. The project will significantly increase both Armenia and Georgia strategic value and simultaneously, through the involvement of EAEU and supporting the President Putin idea of Eurasian Partnership, bring Russia in. The launch of multilateral (China – Iran – Armenia - Georgia) format will be well served to promote the geostrategic interests of the states included as well as be the first tangible example of evolving regional security architecture in Eurasia. Dr. Benyamin Poghosyan is Executive Director, Political Science Association of Armenia holding this position since February 2011. He was Vice President for Research – Head of the Institute for National Strategic Studies at the National Defense Research University in Armenia in August 2016 – February 2019. He joined Institute for National Strategic Studies (predecessor of NDRU) in March 2009 as a Research Fellow and was appointed as INSS Deputy Director for research in November 2010. Before this, he was Foreign Policy Adviser of the Speaker of the National Assembly of Armenia. Dr. Poghosyan has also served as a Senior Research Fellow at the Institute of History of the National Academy of Sciences and was an adjunct professor at Yerevan State University and in the European Regional Educational Academy. His primary research areas are geopolitics of the South Caucasus and the Middle East, US – Russian relations and their implications for the region. He is the author of more than 70 Academic papers and OP-EDs in different leading Armenian and international journals. 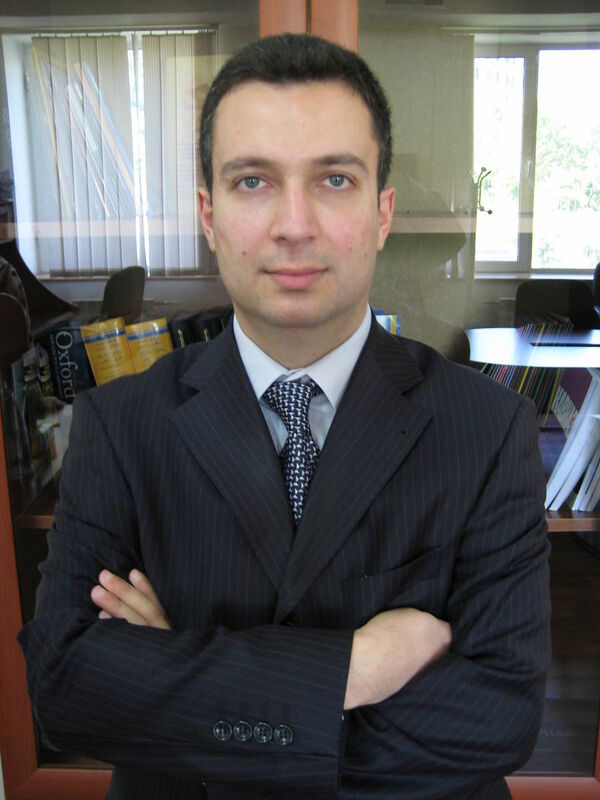 In 2013, Dr. Poghosyan was appointed as a Distinguished Research Fellow at the US National Defense University - College of International Security Affairs and also, he is a graduate from the US State Department's Study of the US Institutes for Scholars 2012 Program on US National Security Policy Making. He holds a Ph.D. in History and is a graduate from the 2006 Tavitian Program on International Relations at Fletcher School of Law and Diplomacy.